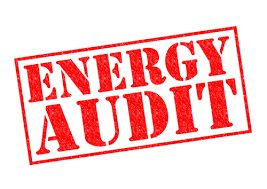 MGCS is a leading energy audit company in India taking care of energy audit for electrical items to check on operational efficiency and finding out any fault in their working operation. Performance evaluation of existing central air conditioning system(s) in all the areas, measurement and analysis of indoor temperatures and suggest to optimize the energy utilization. •	Evaluation of operating Coefficient of Performance (COP) of Precision and package Air Conditioner. Identification and suggestions for performance improvement and energy saving potential. •	Design values and corrective actions. Measurement and analysis UPS loading, redundancy, operating efficiency, load pattern to suggest measures for energy cost reduction, Measurement and analysis of Harmonics as per standards. •	Measurement of illumination levels, etc. 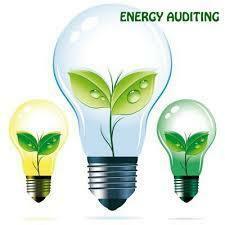 •	To look possibilities to reduce energy use by incorporating energy efficient lighting system. •	Study of operating electrical parameters like voltage, current etc. in the lightening Circuits. Study and analysis of the utility pattern of transformer(s), checking no load loss of the transformers, measuring all day Efficiency for each transformer etc. •	General inspection of the LT distribution panel(s) for its maintenance and working including checking all the meters mounted on it. •	Measurement and analysis of demand and power factor, suggestions to reduce the demand and improve the power factor. •	Study on Metering system and suggestion for improvement. •	Study on V, I, KW fluctuation and profiling,V& I imbalances in the network. •	Detailed examination of the existing energy use of the facility with break up. •	Study and examination of use of electric energy, cost balance with break up. •	Performance evaluation of installed capacitors to ensure deliverance of desired output, level of losses, management of system power factor and operation of capacitors.